On a serious note can he still qualify through the Olympic route if picked? Yes, he can still qualify trough Olympic route and he have hopes for this. Also Lucaci and Lazar are missing. Well it looks like no more strangers for Romania, only Van Heerden and Fonovai.We have a "nationalist" selector from France ). I am all for this but we are very thin on few positions. Normally we should beat Portugal without problems. But we said that before... .
Long shot, but would there be any club games played around Constanta on the weekend of the 22nd December? Seaton wrote: Long shot, but would there be any club games played around Constanta on the weekend of the 22nd December? Unfortunately for you no, at that time of the year rugby season is off until February. 375 EUR. 50 more than the NBA edition of the same watch. I am curious how much Tissot has contributed to FRR budget. Forgive my ignorance, what would be the benefit of a united Romanian/Moldavian team? thatrugbyguy wrote: Forgive my ignorance, what would be the benefit of a united Romanian/Moldavian team? -The PR effect for " Union" in both countries. -Salvation for Moldavian rugby who is dead and a breath of fresh air for Romanian who is almost dead. In few words it will not bring a lot material wise but more in terms of morale/soul. What happened to Romania? I read above that this is the strongest team available, so what went wrong? Not want to sound like an arrogant prick, but is this somehow connected to the weak showing of the youth system, that was discussed couple years ago here quite extensively? SHIZZZO wrote: What happened to Romania? I read above that this is the strongest team available, so what went wrong? Not want to sound like an arrogant prick, but is this somehow connected to the weak showing of the youth system, that was discussed couple years ago here quite extensively? Is not the strongest. We can add players from France Antonescu, Nistor, Giorcioaia (maybe A. Ursache 1 -2 years) & from England Tarus + few others injured or not selected from Super Liga&France + few more by naturalization process (altough this path it looks abandoned). Of course is connected with youth system but also with losing a World cup qualification like idiots. Even All Blacks will be in shock after an enormous failure like that. Anyhow i expect Romania to be a mid table team in REC for at least next 1-2 years. Minimum. But would WR accept? They dissolved the Arabian Gulf as rugby is an Oympic sport. It was a very green team in fact as very few of the U23 players who played until now were on the field, for example Simionescu, Iurea, Cojocaru, Muresan missed this match. Except Macovei, Badiu, Capatana, Pristavita, Surugiu and Vlaicu on bench, the team was inexperienced with many being debuts this November or with only 2-3 caps. So not, not even all the best youngsters were in the team. @Bogdan, I'm pretty sure it won't be an issue with naturalized players. Lievremont simply wanted to see as many as possible. amz wrote: So not, not even all the best youngsters were in the team. Why was that an issue? Romania is out of RWC 2019 so you need to prepare for 2023 RWC. everyone who is under 27 must gain some experience and prepare for upcoming years. If you guys want to bring some more foreigners its yoir choice but i think it is time to raise better generation until 2023 or Romania will regress pretty fast. I didn't said it is an issue, I agree with this policy so far, we have to be prepared for 2020 and it's normal to fill in youngsters to see who is capable to make it to the main squad. In fact I criticized Haig that he started very late to use young player (Mathiashvili at 24??) so I agree with what Lievremont is doing. I was merely pointing that it was not "strongest team available" and not even the best young players were part of it, that's all. Despite the results, I've see some positive stuff in both matches. …pretty complex equation , I say...not easy task! 4N wrote: Possible Lievremont resignation?! Yes i heard that also..this will be unbelievable. I really hope is not true. imo this was the main issue after Bucharest Wolves was disbanded. This team gave 6 strong games during winter break to best local players, keeping them in shape for REC. About Lievremont, I heard same rumor but nothing official. I'd be very sad to find out this is true. What about outside the field in your opinion? Is FRR marketing/communication work good in your opinion? How to make rugby a stronger TV-internet product? 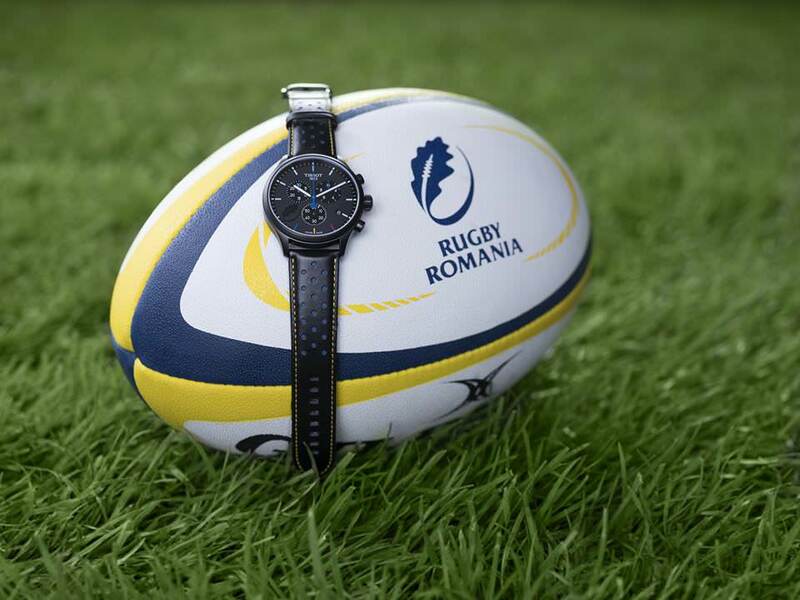 How is rugby's image in Romania? Can it improve/change in a better way? victorsra wrote: What about outside the field in your opinion? Since 2017 is catastrophic. Except that FRR obtained some good investments from Government (main stadium is rebuilt, a regional center in Baia Mare), in marketing part nothing was done. Of course it can be improved. Last edited by amz on Mon, 26 Nov 2018, 15:15, edited 1 time in total. Marketing is lacking even in tier one nations.